We’re teaming up with our partners at the Cuyahoga Valley Environmental Education Center to celebrate World Water Monitoring Day in Cuyahoga Valley National Park on September 18! This special event will highlight the importance of youth leaders taking action to monitor and protect their local water resources. The planned program will unite over 100 students from Coventry Middle School, Cleveland Municipal School District, Akron School District, and Woodridge Local School District. These students will work alongside their teachers, EarthEcho Co-Founder and President, Philippe Cousteau Jr. and the EarthEcho Team, Cuyahoga Valley Environmental Education Center staff, National Park Service rangers, and local volunteers. 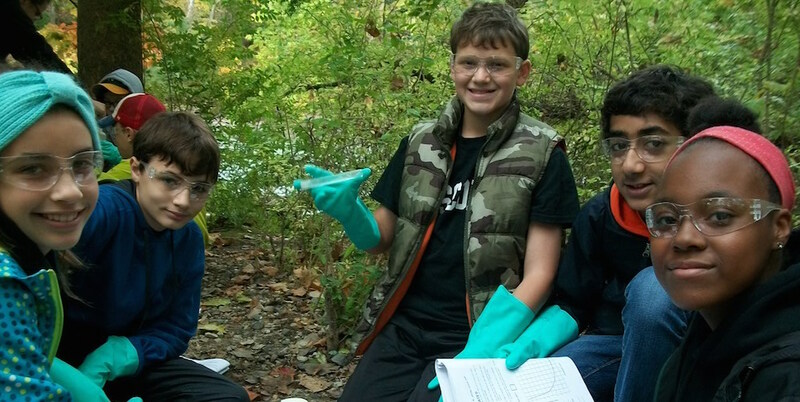 Participants will work at sites throughout the National Park, focusing on water quality testing using EarthEcho Water Challenge test kits, invasive species removal, and tree planting to restore and protect the water quality of the Cuyahoga River Watershed. Following their field work, students will record their water quality data into the EarthEcho Water Challenge database and watch as their efforts contribute to global awareness of our water resources. You can join us and take action in your own community for World Water Monitoring Day on September 18. Click here to learn more about this global event and how you can get involved. You can also follow along on our Facebook page on September 18 for LIVE updates from Cuyahoga Valley National Park and other key events from across the country. Be sure to join the conversation and let us know how you’re taking action with hashtag #MonitorWater.